Poison Prevention Week, held during the third week of March, reminds us that some of the deadliest and most dangerous items in our homes are hiding in plain sight. Just take a peek under your kitchen sink or in your laundry room. And don’t forget to have a look inside your medicine cabinet. 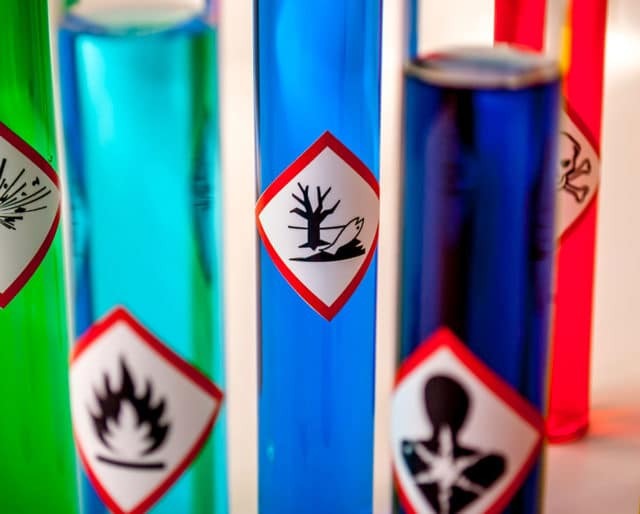 Household cleaning agents, prescription medications, pesticides, and other items can pose serious hazards to the health and well-being of our families and even our pets. And there are a whole host of items that we may overlook which can also be dangerous, such as art supplies, plants, and food. Better to be safe than sorry, as the old saying goes. And you’ve come to the right place to make sure you stay informed and your loved ones stay healthy. The law requires child-resistant packaging for, among other things, prescription drugs, over-the-counter medications and household chemicals. The United States Congress passes a joint resolution authorizing and requesting that the president issue an annual proclamation designating the third full week of March as National Poison Prevention Week. The first poison center in the United States opens at Presbyterian-St Luke's Hospital in Chicago. There are plenty of resources out there with handy lists of ways to poison proof your home. The government's Health Resources and Services Administration is an excellent place to start. Tell your families, neighbors and coworkers about poisons and how to keep themselves safe. This can be done in emails, memos, or in groups set up for this purpose on social media. About 30 children die every year from being poisoned by common household items, according to the Consumer Product Safety Commission. The Consumer Product Safety Commission also reports that accidental poisoning accounts for more than 2 million calls each year to poison control centers and more than 80,000 visits to the emergency room. National Poison Prevention Week contributed to an 80 percent reduction in poison-related deaths since the early 1970s. Carbon monoxide is a poisonous gas that has no color or smell. Cars, appliances, furnaces, and other household items can emit carbon monoxide. Parents play a critical role in helping their tweens learn about the responsible use of OTC (over-the-counter) medicines.